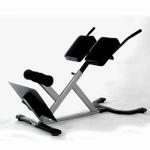 "Achieve the ultimate Ab and core workout with Sunny Health and Fitness's Power Ab Bench. With multiple modification locations, you can adjust this bench to suit a variety of abdominals, lats, obliques, lower back, and core exercises. 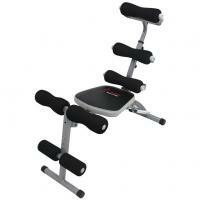 Reduce energy emission and increase comfort when working out with the Power Ab Bench's unique spring feature and cushioned back support and rollers. Easy to store foldable design made of heavy-duty, yet light-weight steel, your home can transform into a fitness studio with little time and effort! "I placed my order over the phone and the representative couldn't have been nicer and more efficient. I was scrambling to get a Christmas gift delivered on time after Amazon dropped the ball, and was very pleased with your service. Thank you."